When you think of Ohio, jiu-jitsu probably isn't the first thing that comes to mind. While, yes, there are jiu-jitsu academies out there that have produced some high-quality athletes, this midwestern state isn't exactly on the same level as, say, California or New York when it comes to churning out high-level competitors and events. But Fight to Win Pro is looking to change that. After visiting Cleveland just a few months ago, the promotion is making their return to Ohio, this time in Columbus. In addition to all the talented athletes they have stacked up on the undercard, they'll be putting 2014 no-gi world champion AJ Agazarm and 2016 masters world champion Vitor Oliveira on the stage for the main event. And both of these BJJ standouts have ties to Ohio. Although Agazarm was born in Florida, much of his success in BJJ can be traced to his time at Ohio University, where he was wrestling and studying for a degree in finance. After having earned his blue belt while training at Gracie Barra Clearwater in Florida, he began training at a Relson Gracie affiliate academy in Columbus, Ohio under fourth-degree black belt Robin Gieseler. Although he was only there for a few months, he'd learned enough by then to win his first world championship as a blue belt. Agazarm ultimately graduated from Ohio State before receiving a job offer from Kayron Gracie in California that allowed him to fully pursue his jiu-jitsu dreams and become the star he is today, but his appearance at Fight to Win Pro 41 is proof that he'll always be a proud Buckeye at his core. Vitor Oliveira's trip to Ohio started from even farther away; he was born in Rio de Janeiro and started training in jiu-jitsu at just eight years old. But life eventually took him out of Brazil and into Columbus, where he settled down and started teaching and training at Ronin Training Center. 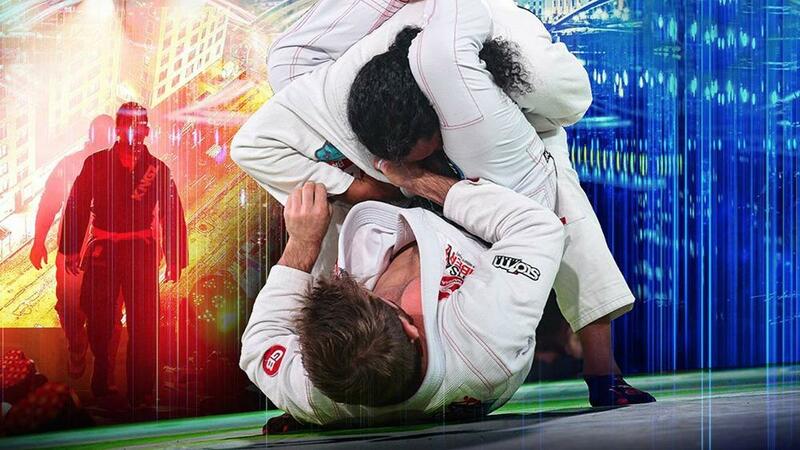 Having won numerous gold medals in high-level events such as the IBJJF Pro League, the American Nationals, and the New York Open, he's one of the state's most accomplished jiu-jitsu practitioners. In addition to being part of the main event at F2W Pro 41, Oliveira will also have students representing his team on the card. Oliveira previously defeated Agazarm back in 2013 during the finals of the absolute division of the American Nationals.